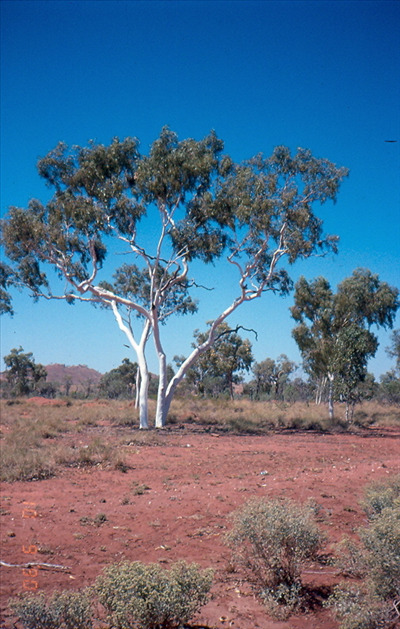 One of Australia's most beautiful eucalyptus with its powdery white trunk and honey-perfumed flowers. Grows best in hot dry areas and doesn't like heavy frost. (Blakella papuana).